A five-judge constitution bench of the country's senior most judges is hearing a batch of petitions asking for a ban on criminals from entering politics. The Supreme Court's idea for stopping criminals from contesting polls on Tuesday provoked the government into warning of "serious consequences" if the court overstepped its jurisdiction and touched "area forbidden by the constitution". "Can we give power to the Election Commission to deny symbol to political parties who field criminals as candidates" - this question from Supreme Court rattled the centre, which replied that "it was for elected representatives to decide, not the court". The centre's lawyer said "it will have serious consequences and it is unconstitutional". Chief Justice Dipak Mishra said to the centre that it was a question of adding a point to the symbol order of the Election Commission, saying if criminals contested in polls, they would not be given the party symbol. "Who is to decide this - elected representatives or five judges sitting in this Court," Attorney General KK Venugopal responded, adding, "the court is touching area forbidden by the constitution." The centre's top lawyer said a step like that meant imposing sanctions against members of the party and would open up a new arena to fight each other by filing more cases against opponents. "The court must realise the reality in the country. The cap on election expenses is one of the biggest jokes in the country. Candidates spend around 30 crores in a constituency," Mr Venugopal argued. Justice Indu Malhotra differed with the view of the Chief Justice and other fellow judges and said, "So many cases of political vendetta will be filed...it must be only after conviction." Justice Rohinton F Nariman disagreed with the centre, asserting that the Supreme Court is not stepping into parliament's territory. "Until parliament decides, we can direct the Election Commission to add one condition to the symbol order saying if a person has criminal charges, he will not get a symbol. We are not stepping into the Parliament arena," said the judge. The centre replied that a parliamentary standing committee had debated and rejected the plan. Justice DY Chandrachud pointed out that the election panel, while granting recognition to parties, defines a minimum number of votes a party must get. 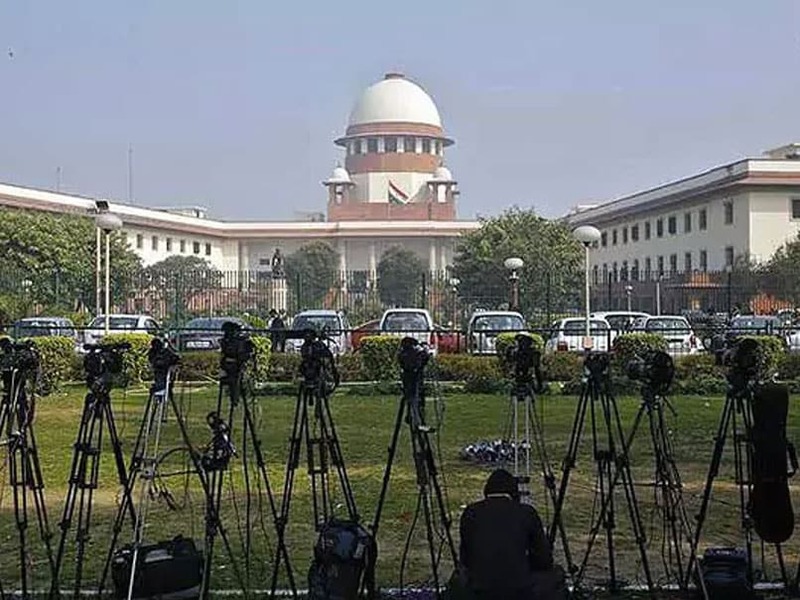 "But on its own, the Election Commission can add a condition of denying symbol to criminals contesting on behalf of political parties," said Justice Chandrachud. In course of an argument, the Attorney General said: "Mere allegation cannot prevent a member from contesting and he can't be deprived of the party symbol." The case will resume on 28th August. India will hold a series of state elections this year and the national polls early next year.